For my daughter and I, coloring is a calming activity to spend quality time together, but there are more ways to have fun with coloring books than just coloring. 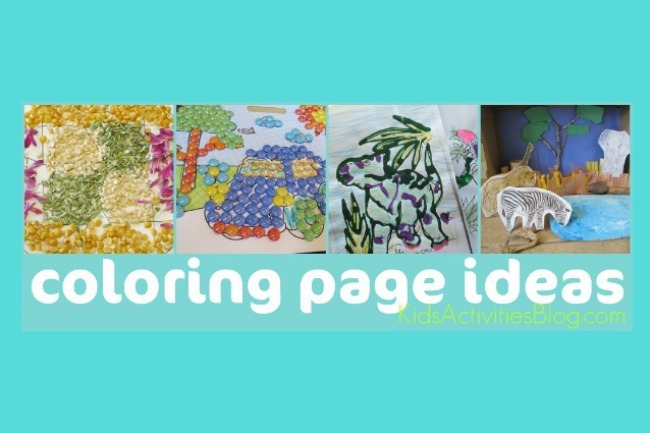 I will share five ways we get creative with coloring pages. Add some tempera paint to a liquid glue bottle and stir it into the glue. Trace the outline of the pictures with the colored glue. Once the colored glue is dry, fill in the rest of the picture with crayons or colored pencils to create a contrast. Pour a layer of glue over the coloring page. 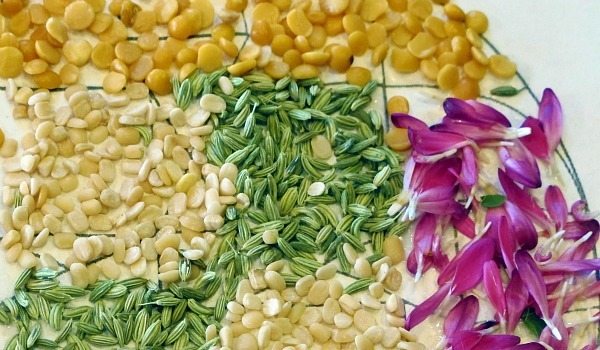 Sprinkle items such as fennel, lentils, rice, or grains over the top of the picture to create a natural looking piece of artwork like our mandalas. Cut out a rectangular piece of contact paper to be the size of a placemat. 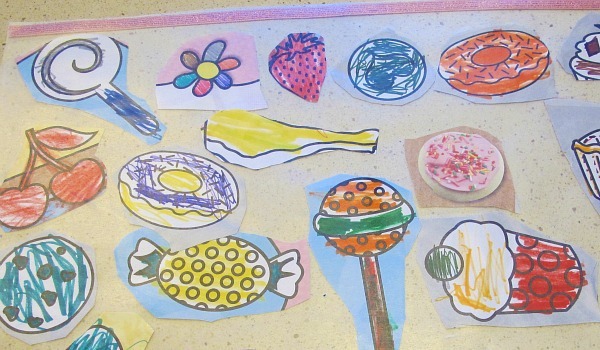 Let your child cut out pictures from a coloring book and place the pictures on top of the contact paper. Cover the completed collage with another matching piece of contact paper. 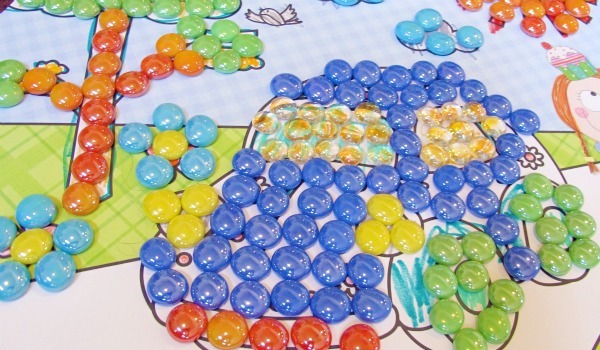 Collect an assortment of flat, craft marbles and allow your child to fill in the picture with the marbles. A picture that has already been colored can be used for this. No glue needed because this will be a temporary piece of art. 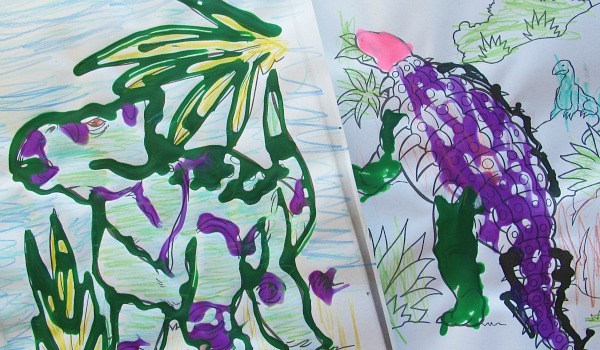 Choose animals from a coloring book that share the same habitat. Glue the pages onto cardstock, cut them out, and then glue each animal onto a toilet paper tube. 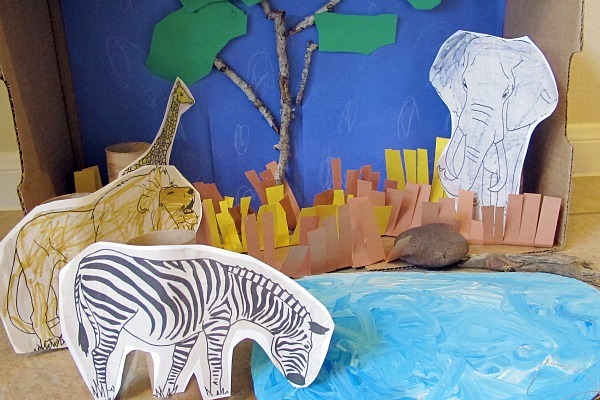 Create their habitat using a cardboard box, construction paper, glue, and natural materials. This post was brought to you by Rebekah, a stay at home mom, who believes in joyful, playful, and thoughtful parenting. Over at her blog, The Golden Gleam, she shares ways to light up kids’ lives through play, crafts, learning, and positive parenting. I like the placemat idea- simple and a fun way to display coloring a child is proud of! I loved all of these ideas! We’ll definitely have to try the colored glue! M&M’s are a great idea especially since they are cheaper than crafting marbles if you don’t already have them. Thank you, Joyce. Let me know how the colored glue goes for you. My daughter has enjoyed her placemat, and wants to use it for almost every meal. I hope your kids enjoy making their placemats. What fun ideas! I am always on the look out for fun things to do with my kiddos, and this looks great! Thanks! The coloured glue would be great way to emphasize line. Fun! Those are great ideas. My daughters have just started getting into colouring (my oldest is 4, my youngest almost 2) so we spend a bit of time everyday with crayons, markers, or watercolour paints. Some of these crafts might be above them (or above my patience with messes!) but I like the idea of making scenes, as it encourages my daughter to colour and to cut out her creations (she’s learning to use scissors) and then to play creatively with them (she’s also getting into imaginative play). Thanks! Excellent. This would be a great challenge for everyone. Now you have me thinking before we start using coloring books again. Thanks. Oh I love these ideas!!!! Can’t wait to try some of them. Besides colouring books, do you have any favourite colouring pages Sites you would recommend? JDaniel doesn’t like to color. Thank you for giving me ways to use his coloring books. Love the “creating a small world scene”. How fun! Microsoft Office 2010 Professional Plus offers powerful new ways to deliver the best work whether youre at work, at home or in school the computers web browser, or smartphone. Engage your audiences attention and provide them with their ideas with enhanced tools. Microsoft Office 2010 Professional Plus include: Access, Excel, Infopath, Onenote, Outlook, Power Point, Publisher, Word. when will the Feb. calender be available?